They rolled, they tumbled, they laughed. They ran and kicked soccer balls and did handstands. All of it, one big expression of joy and exhilaration for the arrival of a big, green field primed for pure play and freedom. 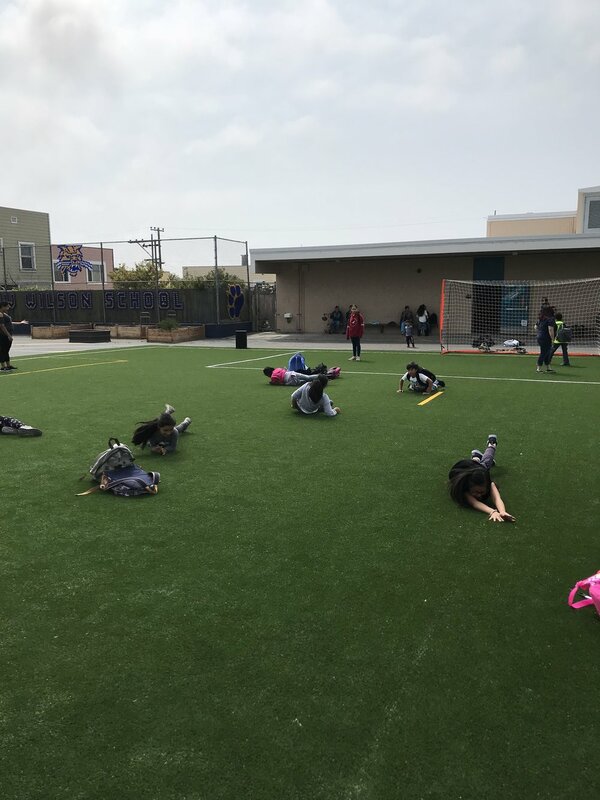 The students of Woodrow Wilson Elementary School in Daly City made it abundantly clear just how much fun they were having at the opening ceremony of their brand new Field of Dreams. The 11,000 sq. ft. turf field was installed through the collaborative efforts of America SCORES Bay Area and the extended Woodrow Wilson school community. That community spreads wide, reaching from the school’s kids, families, and teachers to the Daly City Police Department, the Daly City Police Athletic League, the Jefferson Elementary School District, Daly City Supervisor David Canepa, and the Woodlawn Foundation among other donors. 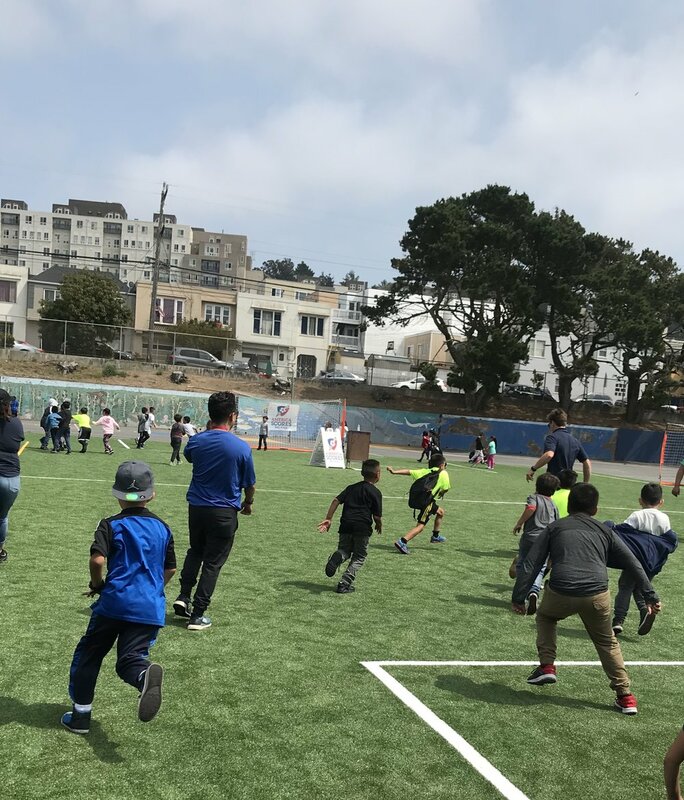 The SCORES after-school based youth development program at Woodrow Wilson Elementary has been made possible in part by funding from Kaiser Permanente and US Soccer Foundation. And so began a collaborative effort that brought everyone in the Woodrow Wilson community and beyond together to make a brilliant new field come alive, one that would provide green space not only for Woodrow Wilson students but for the entire neighborhood. The PTA rallied and formed a committee to steer the fundraising Fallfest. Principal Sara Rich, stepping in after Principal Allen’s departure, reached out to an array of stakeholders: the Daly City Police, the Daly City Police Athletic League, the Jefferson Elementary School District, and Daly City Supervisor David Canepa, all of whom kicked in funds to propel the project forward. And taking the effort over the top and past the finish line were the powerhouse fundraising efforts of the Woodrow Wilson Elementary students and families, who raised $7000 through a schoolwide walkathon. Every single student walked.